In his new Secrets of Cinema special, film critic Mark Kermode looks back at nine decades of Academy Award winners and reveals what types of films, characters and storylines repeatedly bring home the prizes at the Oscars. No film awards are more coveted by film makers than those given by the The Academy of Motion Picture Arts and Sciences, the Oscars. However, Kermode says, no awards are more foolish. Film legends such as Orson Welles, David Lynch and Alfred Hitchcock have never won Best Director and in the nine decade history of the Academy Awards no black director has received that award and only one woman has triumphed – Kathryn Bigelow for The Hurt Locker. In Oscar Winners: A Secrets of Cinema Special Kermode explores how the Oscars reveal their own set of cinema secrets as certain films, themes and particular types of characters win again and again. The first and third Best Picture Oscars went to war films but the second winner established a very different Academy favourite when the musical The Broadway Melody won. The first talkie to win the award, Kermode says it “proved the perfect vehicle to showcase the possibilities of full sound pictures - a talking, singing, dancing, dramatic sensation”. Best Picture has been won by musicals including Gigi, West Side Story, The Sound of Music, Oliver! and Chicago. “The actual subjects of the films were respectively sexual grooming, juvenile gang violence, Nazi oppression, child slavery and a murder trial but we tend to forget all that heavy stuff and concentrate instead on the delights of musical winners: the songs and dances and often cutting edge, even experimental cinematic techniques.” These include the superb on-location photography in West Side Story and the dizzying mountain shot from the opening of The Sound of Music. Kermode argues that the Oscars are industry voted awards and so no wonder films about showbizz appeal to voters. A Star is Born, originally adapted from the film What Price Hollywood?, has been remade three times, and has each time been a magnet for nominations. 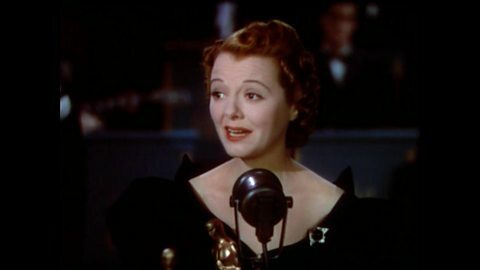 Best Actor and Actress awards often go to stars playing other stars: “such roles provide the opportunity to do a song and dance on stage and demonstrate heart ache and tragedy offstage”. Examples include James Cagney as song and dance man George Cohen in Yankee Doodle Dandy, Barbra Streisand as vaudeville legend Fanny Brice in Funny Girl and this year Rami Malek has been nominated for his portrayal of Queen frontman Freddie Mercury in Bohemian Rhapsody. Mark explores four versions of Hollywood's favourite showbiz story. The first double winner began when a little known actor called Sylvester Stallone watched a boxing match between Muhammad Ali and Chuck Wepner. Facing Ali, the Heavyweight Champion of the World, Wepner was the classic underdog, and was only seconds away from going the full distance. Stallone wrote a screenplay and sold it on the condition that he star in it. The result was Rocky. In Stallone's story the hero loses the fight but crucially is still standing at the end. In similar fashion 28 years later the second boxing film to scoop the double, Million Dollar Baby, saw the protagonist lose their big fight. Kermode says: “One last bout, one last shot at redemption. The point is not about winning but going the distance” Million Dollar Baby also netted Hilary Swank an Oscar for Best Actress, one of many for stars playing boxers: Wallace Beery for The Champ, Marlon Brando in On the Waterfront, Christian Bale for The Fighter and Robert De Niro for Raging Bull. This plucky underdog theme is not restricted to boxing features. Cycling film Breaking Away, about a group of working class cyclists who beat the privileged university team won Best Original Screenplay and Chariots of Fire, which features two underdogs who overcome prejudice and class snobbery to win Olympic gold, took home four big awards. The role that seems to have embedded the theme of disability in the Academy’s collective consciousness was Dustin Hoffman’s autistic Raymond Babbitt in Rain Man, says Kermode. He’s withdrawn but some of his mental skills including memory and counting function at an almost super human level. 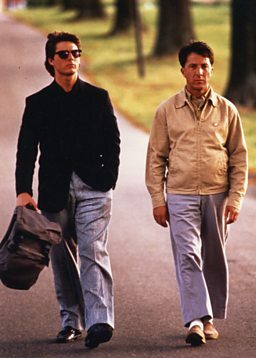 Rain Man won both Best Actor and Best Picture, a feat that was repeated six years later by Forrest Gump. Forrest has an unspecified learning impairment reflected in a low IQ but also has exceptional athletic skills. Kermode says: “This is a recurrent theme for the kind of roles that win Oscars: the portrayal of a character who has a disability but who is also blessed with a special gift.” In My Left Foot Daniel Day Lewis played a character with cerebral palsy who is a talented writer and artist, in The Theory of Everything Eddie Redmayne’s mentally brilliant character has motor neurone disease and Nicole Kidman in The Hours has bipolar disorder and is writing a masterpiece. Playing a great figure from history is also a solid acting bet, says Kermode, and a category where Brits have delivered some majestic performances. Academy Award winning British Kings and Queens include Helen Mirren’s Elizabeth II, Charles Laughton’s Henry VIII, Judi Dench’s Elizabeth I and Colin Firth as George VI. One of the challenges with a historical film is creating suspense and drama, when the audience know the ending. Characters might have power but they also have to be a sympathetic underdog. In political drama Darkest Hour Churchill's political weakness is emphasised as Hitler advances in Europe, while in The Iron Lady Margaret Thatcher is shown as taking on the male, public school establishment. “Underdog figures are often at the heart of the grand historical epics that sometimes sweep the board at the Academy Awards.” Gandhi and Braveheart’s William Wallace are both fighting to secure justice for their people. Underdogs appear in fictional epics too, such as Maximus in Gladiator, a former Roman general reduced to fighting in the arena. 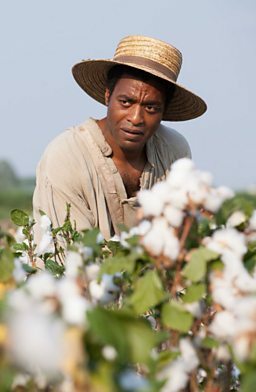 Steve McQueen tackles slavery in 12 Years A Slave but resists burdening his film and protagonist with repeated outbursts about injustice and hope, and succeeds in depicting violence without sanitising or aestheticising it. Spotlight, which deals with the widespread child abuse of the clergy, chooses not to show the crime at all. Instead focusing on the investigation by the reporters at the Boston Globe, and how a community can become complicit in an unspoken crime. Looking to the films nominated at the 91st Academy Awards, Kermode observes that a lot of the films follow these themes; A Star is Born and Bohemian Rhapsody are classic all-singing, all-dancing tales of outsiders making it big in showbusiness; Olivia Colman is hotly tipped for her memorable performance as one of Britain’s least memorable monarchs, Queen Anne, in The Favourite; and both BlacKkKlansman and Green Book explore racial prejudice in America in the 60s and 70s. Kermode says that Ryan Coogler’s Black Panther "also has strong social justice themes. It may be a superhero fantasy but everything from the design to the narrative to the soundtrack has an empowering anti-colonial, anti-racist, anti-sexist edge. There is even an underdog element to drive the drama forward." Whether or not you think it’s the best film of the year, Black Panther is certainly one of the most groundbreaking, says Kermode. A bonafide blockbuster, made by an African-American director with a largely black cast, that is exciting, adventurous and unexpected. It has been a hit with audience and critics alike but will it win at the Oscars? Mark Kermode's Oscar Winners: A Secrets of Cinema Special is on BBC Four, Thursday 21 February at 9pm, then available on BBC iPlayer and repeated on BBC Four on Sunday 24 February at 8pm. Photographs capturing the Oscars' golden moments. A complete list of the winners and nominees.